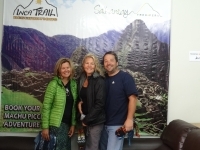 Inca Trail reservations were very friendly and helpful since I first made the reservation. Maria would email me right back when I sent her a question or request. The overall experience was very good. We were able to experience a significant number of historical Quechua-Inca sites and learn about the native culture. The most interesting topics were the incredible architecture and methods of rock shaping in the most difficult of terrain. It's always been a goal of mine to visit Machu Picchu. 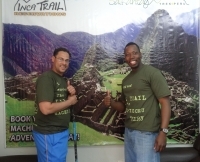 Along with 5 other friends, we braved the Inca Trail to visit one of the New Wonders of the World. 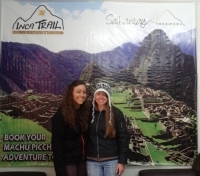 The Salkantay Trek was an experience that I will never forget! Despite the rain, the foot-deep mud, and the bug bites, I had such an amazing time. I live at sea-level and was concerned about the altitude, but it was absolutely no problem. 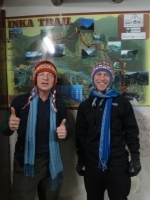 The Salkantay trek was a really great time. 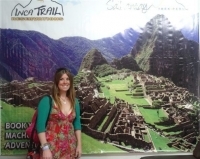 It was my first time to peru and wanted a fun adventure in order to reach Machu Picchu. this trek delivered!